You may be paying attention to your diet in terms of what you eat and where it came from, but have you thought to consider the color of the fresh food you consume? 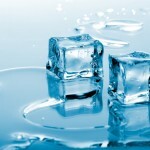 Often its color can give you clues to its nutritional and natural medicinal qualities. 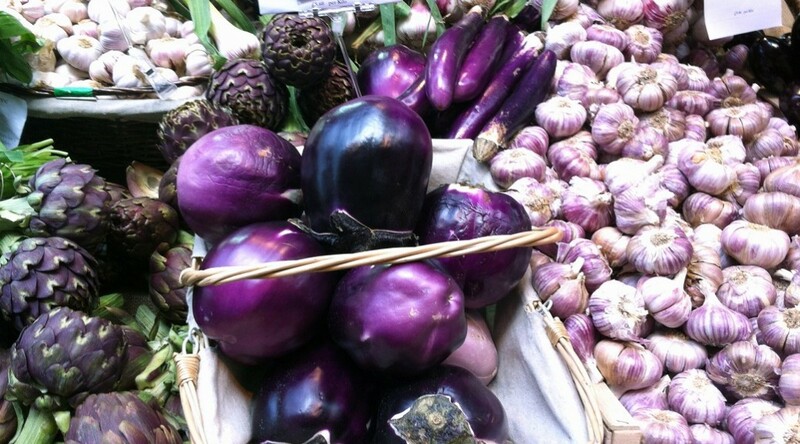 It seems with all its benefits there are good reasons for purple produce to be all the rage. When nature colors her food purple it indicates anthocyanin, a powerful anti-oxidant, is within. This substance has been shown in studies to be a powerful cancer preventative and an anti-inflammatory, plus it helps regulate healthy insulin levels. There are abundant sources of purple foods. Some vegetables include beets, purple onions, purple asparagus, purple carrots, purple corn , purple cabbage, eggplant, and purple potatoes. There are purple lettuces, kale, radishes, peppers and olives as well. Other purple fruits include grapes, blackberries, plums, passion fruit, raisins, prunes and figs. Blueberries and pomegranates are often included as purple fruits because they contain the same flavonoids and qualities. 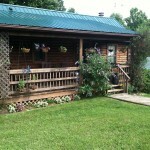 In addition, there are purple culinary herbs such as purple basil and purple sage. 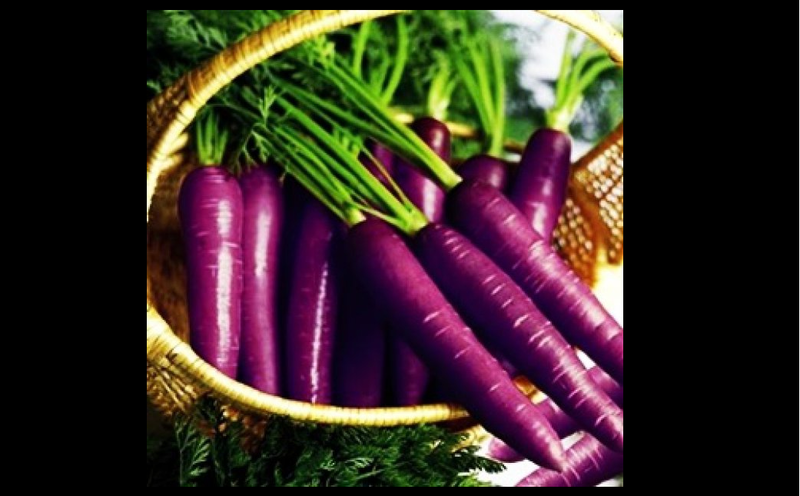 At one time, the "normal" color of carrots was purple. Supposedly the mutant orange carrots were cultivated and became popular in honor of the Dutch House of Orange during the late 1500s. This past summer I hunted high and low for purple carrot seeds but with no luck. Too bad that fad didn’t blow over like the whole tulip situation lol. It may be well worth your time to check into adding more purple to your diet and perhaps your garden as well. Smoothies, snacks, salads and side dishes, the possibilities are endless. Below are recipe links and additional information to go purple. Great article and recipes for purple potato soup and other purple dishes.